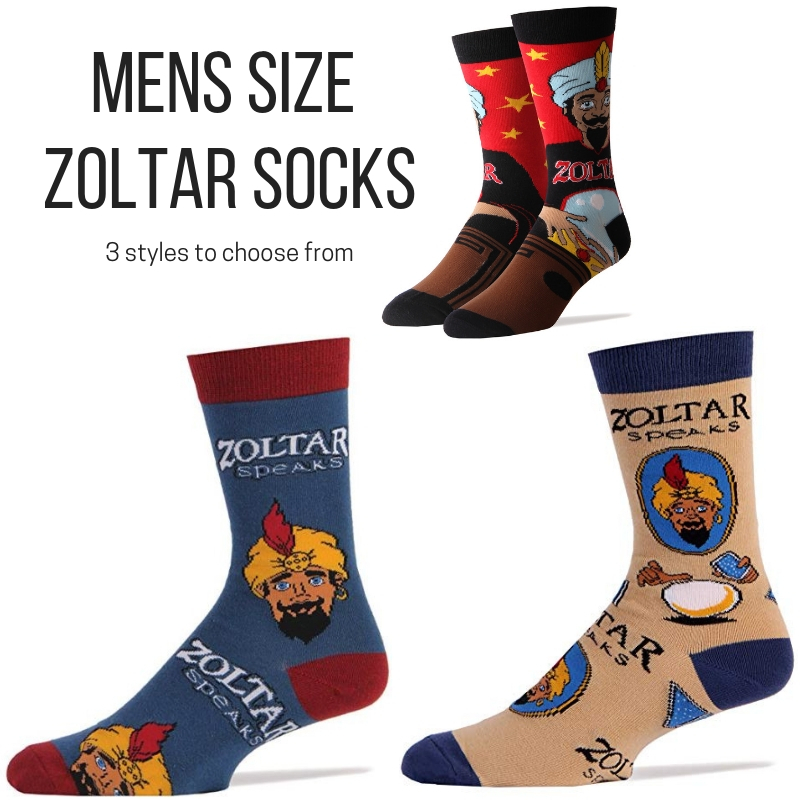 Zoltar says: These will be your new lucky socks. Made of a luxurious Combed Cotton. Men’s sock size 10-13. Men’s Shoe Size 6 to 12 ,One size fits most men. COMFORT – Ideal socks provide you endless comfort and fit just right. Luckily, they have the most comfortable socks around. Made from luxury combed cotton, these socks are super soft and lightweight, allowing your feet to breathe and stay cool during strenuous activity. The thin elastic edging around the opening ensures the sock lays flat against your feet, and prevents them from sliding down. WASHING – Keep your socks looking their best for years to come. They can be washed by machine or by hand. Machine wash cold with no bleach and hang to dry. Tumble drying, ironing, and dry cleaning are not recommended.